To mark the 50th anniversary of Special Olympics International, Special Olympics Samoa (S.O.S.) 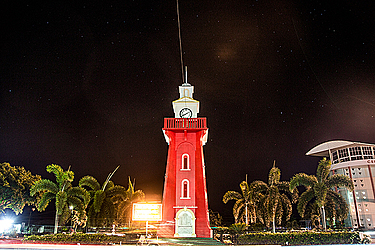 painted the iconic Town Clock in the heart of Apia red. Established in 1968, S.O.S. 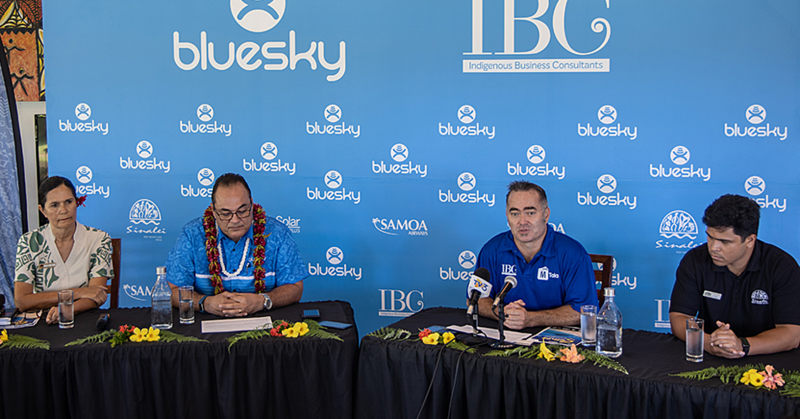 Board Chairman, Leta’a Maiava Daniel Devoe said this is a milestone achievement for Special Olympics because it recognises its achievements over the past five decades. 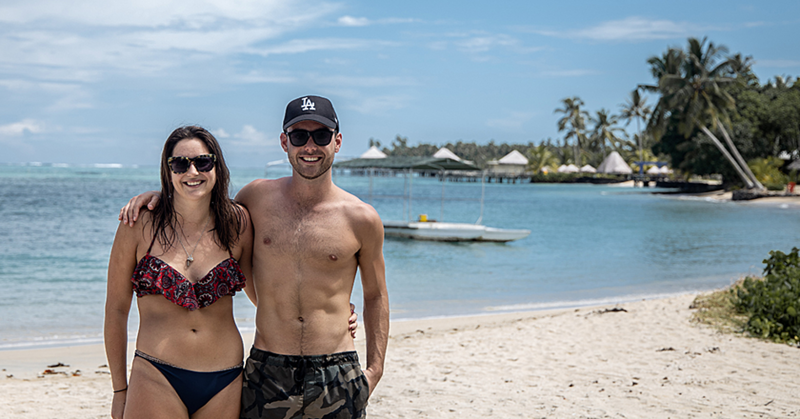 Speaking to the Sunday Samoan, Leta’a said C & B Meredith Limited provided $1,500 which allowed them to be one of the first countries to paint and light up an iconic monument. Leta’a said expenses they used to paint and light up the clock amounted to more than $2,000 tala. “Because Samoa is a small place, we chose the Apia Town Clock to mark the 50th anniversary. We would like to thank the Prime Minister Tuilaepa Sa’ilele Malielegaoi for approving our request to paint the Town Clock." Leta’a said he is grateful for other supporters and sponsors of S.O.S. especially the Samoa Fire Emergency Services for helping them whenever they host an event. Leta’a said they will repaint the clock back to its original colour on July 31, which marks the end of the celebration. According to the Special Olympics Samoa website, the global mission of Special Olympics is to provide year-round sports training and athletic competition in a variety of Olympic-type sports for children and adults with an intellectual disability, giving them continuing opportunities to develop physical fitness, demonstrate courage, experience joy and participate in a sharing of gifts, skills and friendship with their families, other Special Olympics athletes and the community. 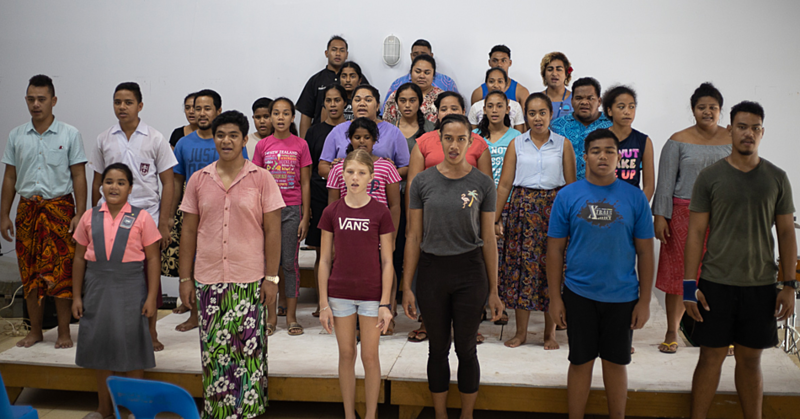 In Samoa, the organisation has identified how it will achieve its mission through its National Strategy 2012-2016. The strategy outlines how people with an intellectual disability opportunity, choice and the possibility will be given opportunities to reach their personal best.